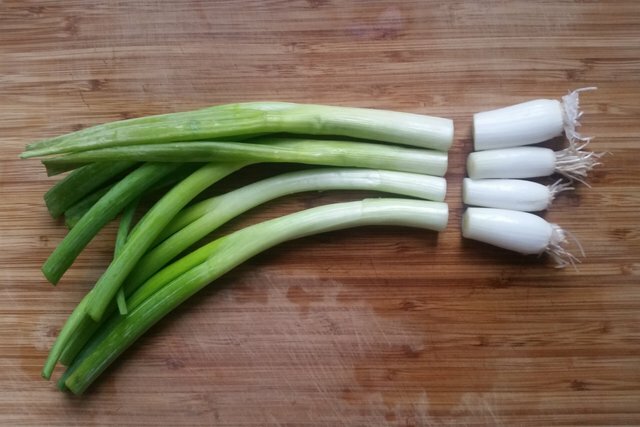 Green onions are a permanent fixture on my grocery list. They have a home in many Korean dishes, but I also chop them for salads, make relish for lettuce wraps, or roast them whole. They are fresh produce that have the spirit of pantry items I love best: high flavor impact with low effort. 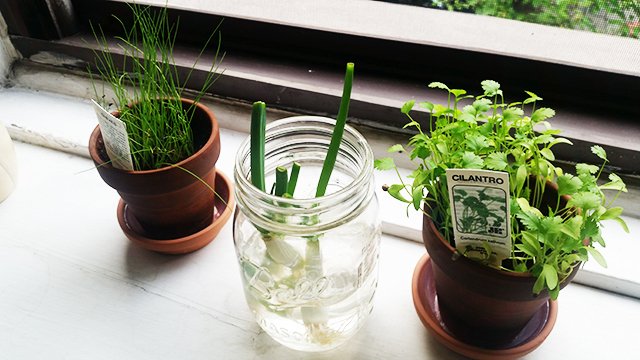 Regrow them in your kitchen. It takes a little over a week. A friend recommended this to me, and she's made the process a regular part of her kitchen routine. 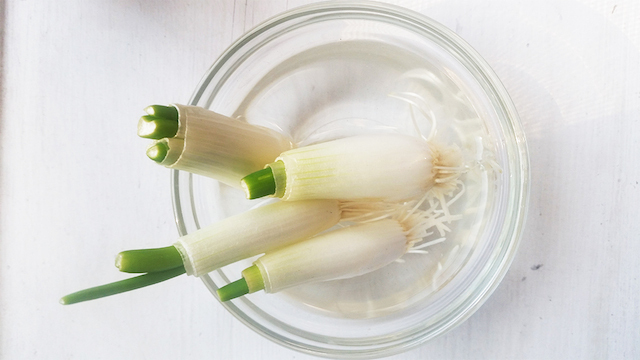 Though it sounds like a Pinterest lifehack (and it is — you can find it on Pinterest), the ease with which you can regrow green onions should be enough to squash any feelings of preciousness. You're throwing out the ends anyway. You probably have a jar. And if you're someone who runs through green onions with any regularity, why not? It's especially appealing for fellow tiny apartment-dwellers who don't have much in the way of a garden. The only "tools" you need are a bowl and some water. (I started with a small, shallow bowl and then transferred to a jar once the new onions got a few inches on them.) Let them sit out and watch the magic happen. You'll notice growth by the second day, but it took about ten days to get them back to their regular size. 1.Cut the ends off the green onions, being sure to avoid most of the green. 2. 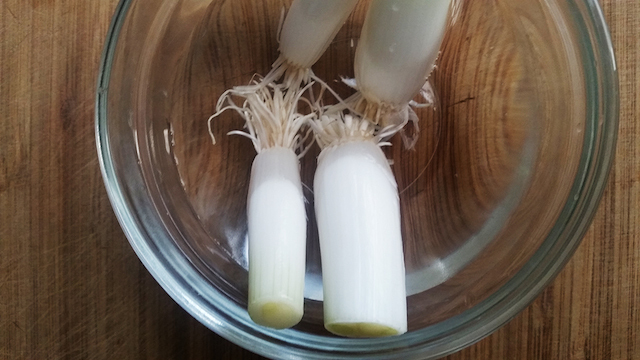 Place the ends in a bowl of shallow water, covering the roots completely. 3. When you start to see some growth, change the water out. 4. 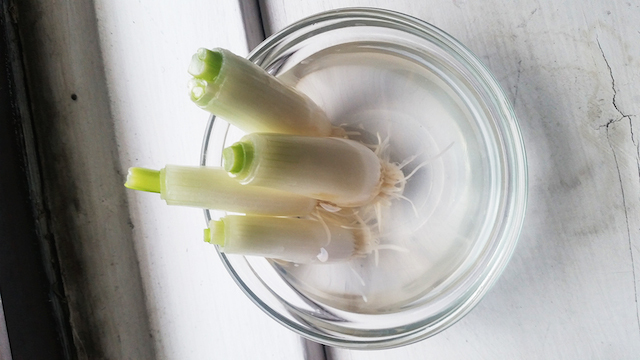 Transfer the onions to to a mason jar once they're long enough to stay upright with the ends submerged in water. 5. Eat them. They will taste like green onions.